We’ve watched them grow and change and become fierce, walker-fighting survivalists, and this season on “The Walking Dead,” we’ll get to know some of the characters even better. New backstories are coming, Executive Producer Gale Anne Hurd told Access Hollywood on Friday night at the show’s Madison Square Garden premiere, when Access Hollywood asked her about the themes of the new season. Season 6 will also introduce some new characters to the series, including one played by “Straight Outta Compton’s” Corey Hawkins – Heath, who is from the comics. “That’s something that I’ve always wanted to see on the screen, and we could [not have] found a better actor than Corey,” she said, mentioning the character who will interact with Glenn (Steven Yeun). Friday night saw the premiere of the show at Madison Square Garden, and the event was a big moment for everyone involved. “It is completely unreal. I mean, if you had told me seven years ago, when we were first putting the show together, that one day, we would be sharing it with 18,000 fans at the Garden, I really would have sent you to your psychiatrist to have your head examined,” the EP said. 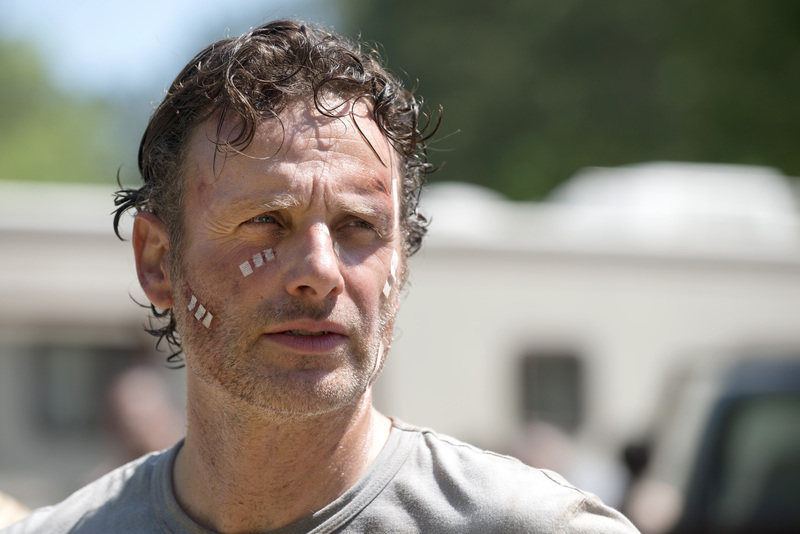 “The Walking Dead” Season 6 premieres Sunday night with a 90-minute episode, kicking off at 9 PM ET/PT on AMC.